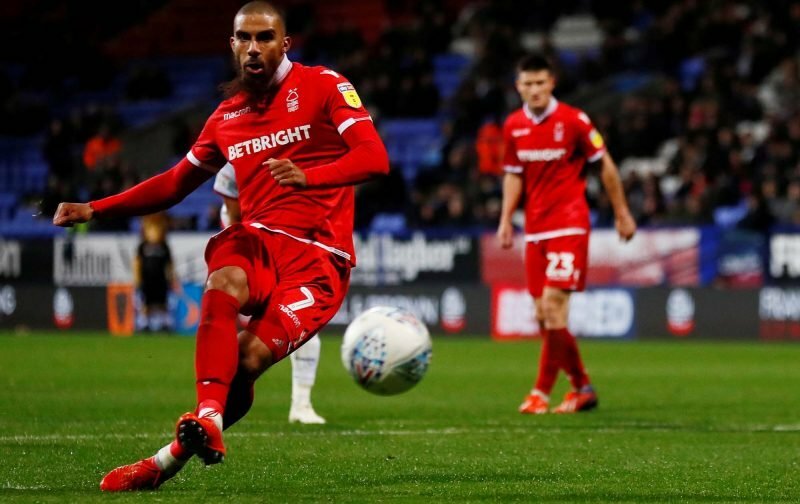 Lewis Grabban made his long-awaited return from injury in Saturday’s 2-1 win over Swansea City, leading the line for Nottingham Forest until Martin O’Neill hooked him off in the second-half. Grabban has been short of match fitness as a result of his lengthy layout, but supporters weren’t impressed with his overall performance at the City Ground and took to social media to criticise the striker. Grabban wasn't fit enough to play 90 minutes. If fans have the right to boo a managers decisions then surely he has the right to give his opinion on them. Murphy was much better than Grabban, Murphy was putting pressure on the back 4 and making them slower to get the ball into our half. Grabban is still a bit injured and that showed, he didn't win headers or press enough but Murphy did. Against Swansea, the 31-year-old 14 touches, 10 passes with 50% accuracy, was caught offside three times, was dispossessed twice, failed to win an aerial duel and failed to register a shot on target. In his 66 minutes on the pitch, Grabban struggled to make a telling impact and was shown up by his replacement on the day – Daryl Murphy, who scored minutes after Forest went behind. Molla Wague bagged the winner. Since the turn of the year, Forest’s top scorer has found the back of the net just once. He has 15 league goals for the season but has scored only one since December 1, 2018. Grabban’s injury was blamed for his lack of form, as it was believed he was playing without being 100%. That’s no longer the case, however, so fans should see the best of the centre-forward during the run-in. Despite Grabban underperforming, Forest earned a valuable win to keep their playoff hopes alive. They currently sit ninth in the Championship with 57 points from 39 games, two adrift of the top-six.